Urbanity is a world-class sponsorship opportunity with packages for all businesses and budgets. Urbanity provides businesses with an incredible opportunity to connect with clients and customers in a unique, authentic and engaging way. 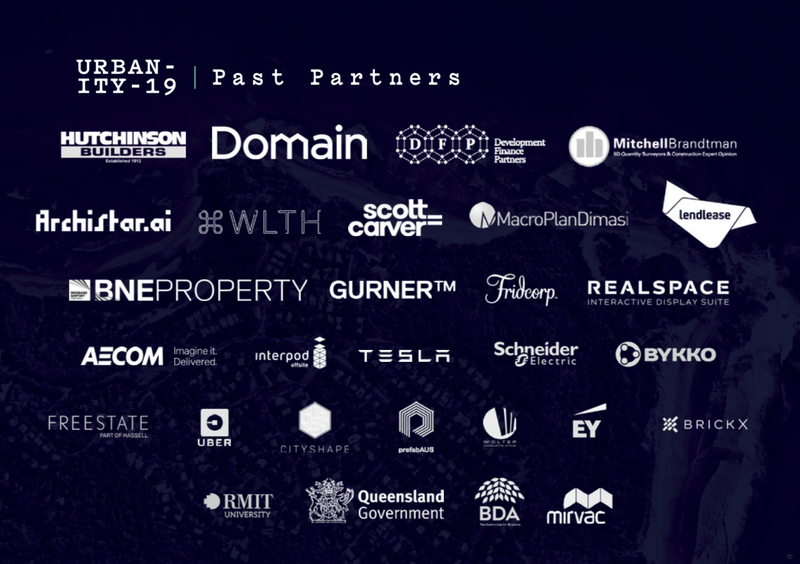 By bringing together the best and brightest, Urbanity also provides a way to position a product or service in a manner that responds to the challenges and opportunities associated with the creation of future cities. By knowing our audience, we have designed sponsorship packages that provide brand activation in practical and meaningful ways: before, during and after the event. Program inclusion: Demonstrate your thought leadership or tell you story through one limited program inclusion slots. Workshop host: Host an workshop to provide further insight and expertise about a product, service or topic. Exhibitor booth: Showcase your product or service at your own trade booth or custom installation during networking breaks. Sponsor our social functions: Take advantage of the energy in the room by sponsoring one of our social functions. VIP event: Work with our team to curate a selection of VIPs in a private breakfast or lunch event. Media exposure: Take advantage of The Urban Developer’s extensive media network to promote a white paper, research, product or service before, during or after the event. On-site branding: Promote your business or project through highly visible, engaging and interactive branding exposure on-site during the event. Fill out your details below to request a prospectus with further information.